Our favourite restaurant in Port Macquarie would have to be Sushiko Japanese restaurant. We have been several times and every time we are impressed by the quality of the ingredients, especially the freshness of the seafood, the variety of meals to choose from, and the great value for a night out. Sushiko could be a restaurant that is easily overlooked. For starters, it doesn't have the water views that are the draw card of most of the local restaurants, it isn't even on the main eat street of Port Macquarie, but is tucked away on a regular shopping strip, across the road from the Coles carpark. It is also tiny, holding at most 25 people with a bit of breath holding. Finally, there is the thought at the back of your mind that Asian cooking in regional areas could not possibly be as good as in the big cities, however Sushiko has world renowned Sushi Chef Ko Sata at the helm. If you allowed these thoughts to add up, you would surely be missing out on one of Ports best kept secrets, or maybe not so well kept, seeing as on our latest visit we were required to book a table two nights ahead. This time the standards were higher, we were dining with a family member who not only speaks and teaches Japanese, but has lived there and eaten her fair share of the cuisine. Our plan of attack was to share a range of entrées and mains from the extensive menu in order to try as much as possible. From the entrée menu we ordered Gyoza, Chicken Kaga-age, thinly sliced Gyu Tataki, and our favourite from the seasonal menu, the Scallops in a buttered soy sauce ($8-$12). As mains to share, we ordered the Chicken Katsu and a mixed seafood and vegetable Tempura plate ($18-$22). The table was a little crowded but it was an impressive feast. 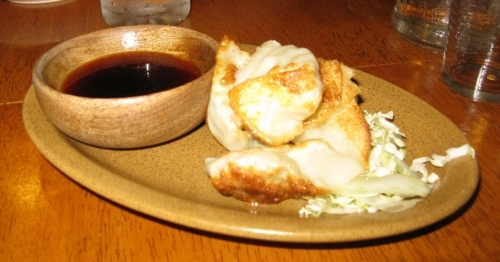 The Gyoza are steamed dumplings that are fried to be perfectly crunchy on the outside, and moist on the inside. 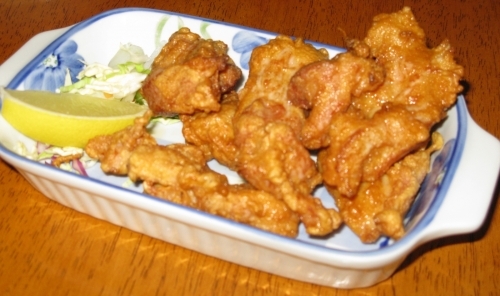 The Chicken Kaga-age is fried chicken served with fresh lemon. 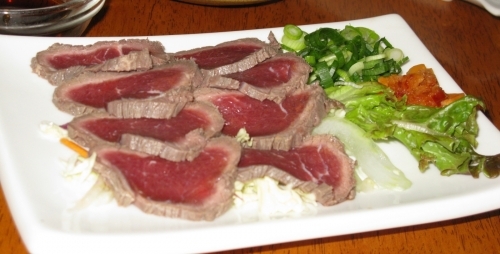 Gyu Tataki is thin slices of rare beef, served cold with a dipping sauce. 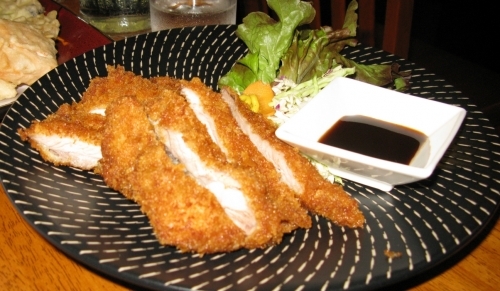 The Chicken Katsu is chicken crumbed and fried and served with a sweetish dipping sauce and mustard. 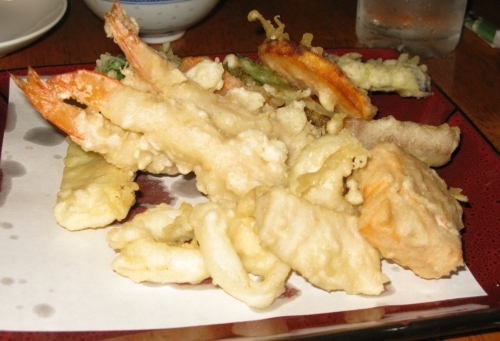 The Tempura was generous, with 3 large prawns, whiting fillets and calamari with an assortment of seasonal veggies in a light crispy batter. However, my favourite as always was the scallops. Five extra large, fresh, plump scallops in the most wonderfully rich sauce. There is always a fight over who gets the leftovers on their rice. If we had one criticism for the night, the service this visit was unexpectedly average, with a grumpy waitress giving us a bit of attitude. You should never make the customer aware of restaurant tabling or timing issues! 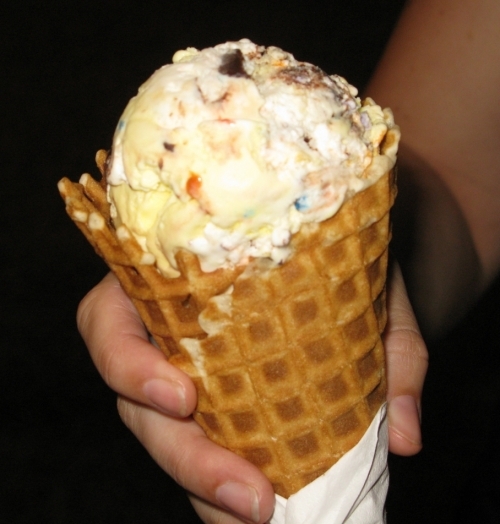 Overall though, we left very happy and full, with just enough room left to wander round the block for some ice cream to slurp on the boardwalk. 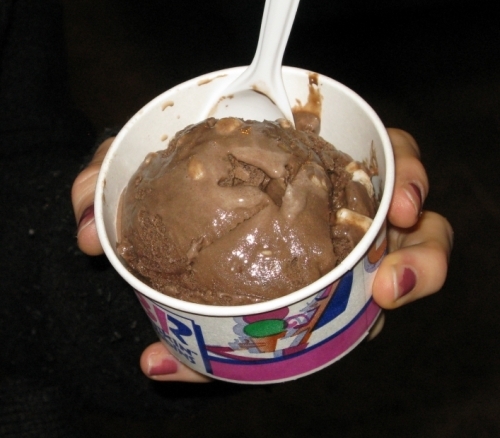 and 'Rocky Road' from Baskin Robbins ($4.40 a scoop). 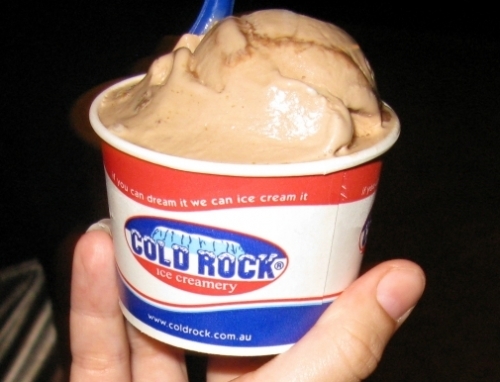 and Milo ice cream with Crunchie mix in from Cold Rock ($5.20). 1 My husband and I had dinner here on the way to Byron. Great food and Chef Koichi is such a personable guy, we loved it.